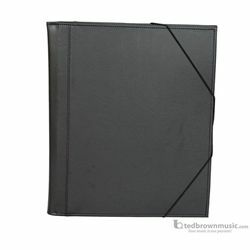 High-quality music folder features a holder and gusset pockets. Extra wide to fit those larger pieces of sheet music. 12-1/2"W x 14"H x 1"D.